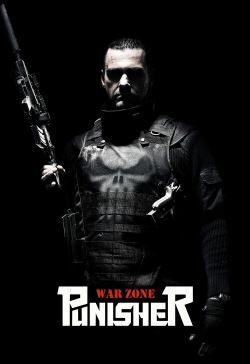 Frank Castle, the ex-military man whose family was killed by criminals, who became a vigilante known as the Punisher, goes after a whole mob family and gets everyone except enforcer Billy Russoti. He tracks Russoti down and chases him into a vat that is used for crushing bottles. Frank turns on the crusher hoping it would take care of him but it doesn't. He survives but sustains very severe injuries that even with plastic surgery his face looks like a jigsaw puzzle. So he decides to adopt the name Jigsaw. Frank who killed one of Russoti's people who unknown to him is an undercover Fed, decides to pack it in. But when he learns Russoti didn't die and is looking for the money he entrusted to the Fed and will go looking for it at his home which means his family is in danger. So Frank tries to save them. But Russoti wants revenge on Frank so he breaks out his brother who is so crazed that he is committed to an asylum, to deal with him. And also another Fed who's a friend of the man Frank killed wants him too.